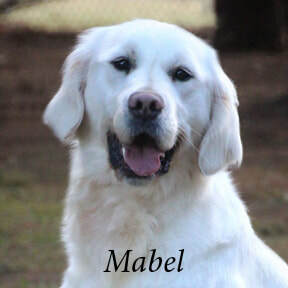 Mabel has a touch of old-soul that we just adore. Beautifully tender, she is content to be in the background while letting others lead . . . that is, of course, unless she is on the trail of a "critter"! When there is game to be had, she is the first one out of the gate and it is incredible to watch her soar across the ground. Though she appears petite next to some of our older, veteran mothers, she is deceptively strong and athletic. Perhaps what we love most about Mabel though, is her desire to please. She exudes tenderness and, if compassion is possible for a dog, she would have a very soft shoulder to cry on. 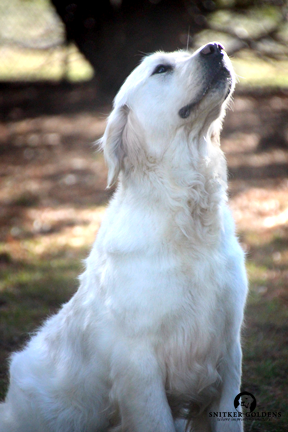 Much like her sister, Victoria, Mabel shows discernment with children that is more fitted to an older, mature Golden. She is just oh-so-gentle with little human hands and feet. At 67 pounds, Mabel has OFA clearances on eyes and heart, with BVA clearances on elbows and hips. She is ICT carrier, prcd-PRA, PRA1, and PRA2 clear. 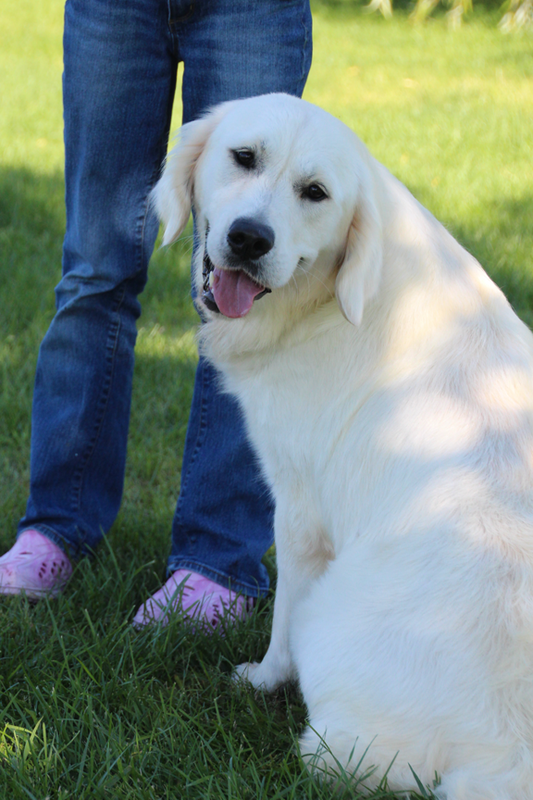 We're so looking forward to what she will add to the future of Snitker Goldens and anticipate her future offspring will show much promise for families hoping to do therapy work with their Golden. 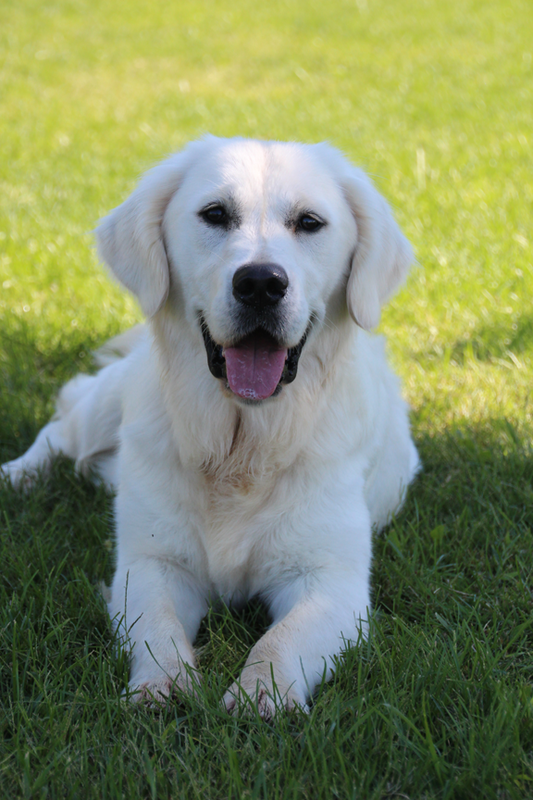 ​Thank you to Santi and Olga, of Thevenet Golden Retrievers, we are truly fortunate to have been given the opportunity to pair this sire and dam together for this new outstanding prodigy. 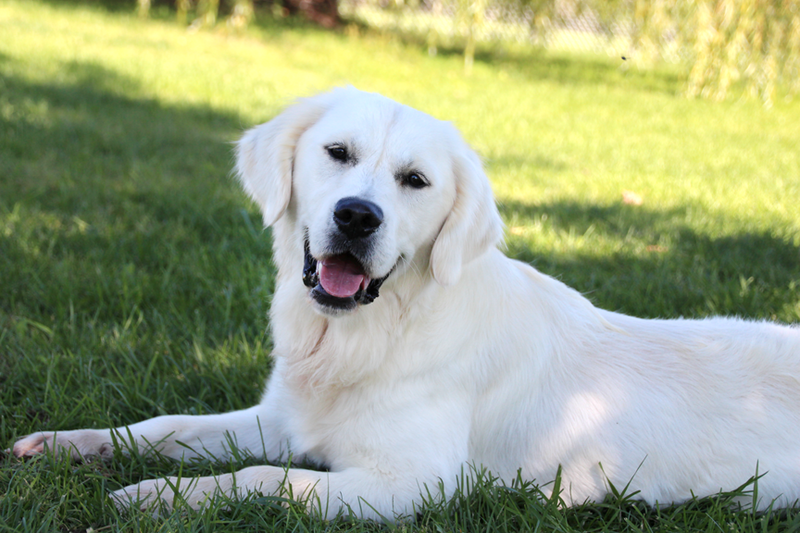 Click to view Mabel's Pedigree and Health Clearances.